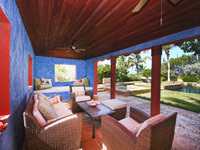 Have you ever thought about how great it would be to have a Caribbean Island retreat right here in the U.S. of A.? Well -look no further. 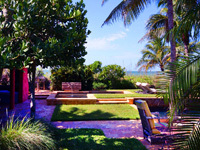 This super special 3 bedroom 3 bath Gulf of Mexico front home on Sanibel Island will fit the bill. With Turkish Marble and Yellow Pine flooring and Cypress wood beams with bamboo inset ceilings - the ambiance is serene with a low maintenance beach front feel. Combine this with Gulf side pools and spa - as you relax in the adjacent Cabana you know that you have arrived! Check it out and contact me with any questions or to schedule a tour!